Unidoor 33 to 34-inch x 72-inch Frameless Hinged Pivot Shower Door in Chrome with Handle is rated 4.7 out of 5 by 9. 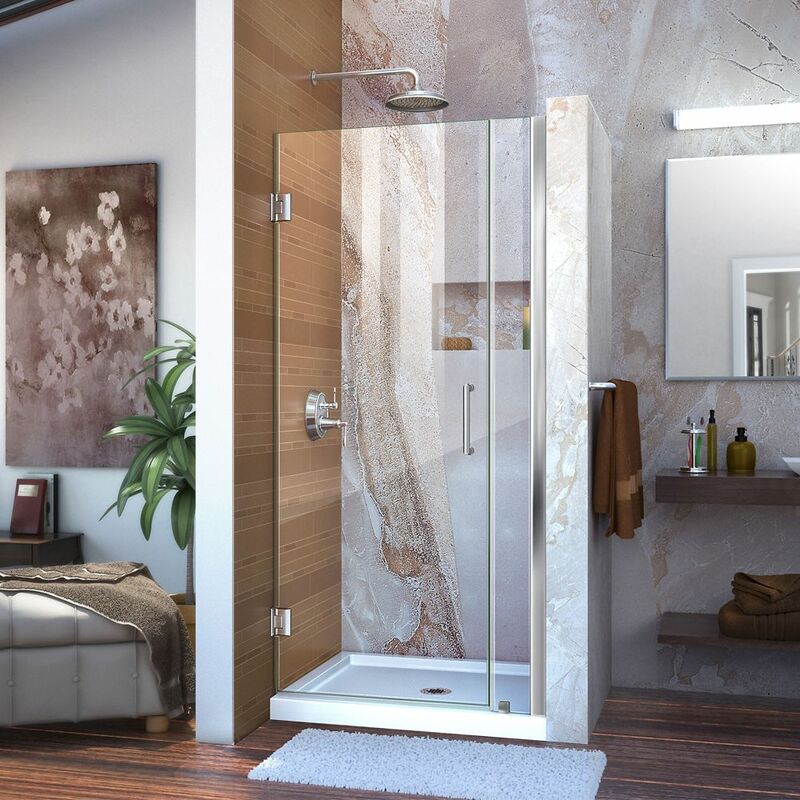 Rated 4 out of 5 by Anonymous from DREAMLINE UNIDOOR I actually couldn't use the door because I had no where to mount the hinges but to my fiberglass shower stall wall. The hardware supplied for mounting to fiberglass is not what I call a permanent mount. Because the door is so heavy, in time the plastic anchors will come loose. So rather than having an issue, I returned the door. I do have a suggestion. if the hinges can be redesigned to accommodate a moen secure mount system. I would have mounted the door in a minute.